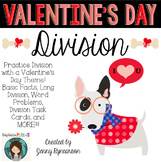 Valentine's Day Division! 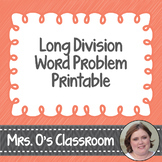 Long Division, Word Problems, & More! 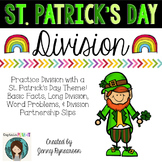 St. Patrick's Day Division! Long Division, Word Problems, & More! This is a fun way to bring in the holiday season with some math word problems. Students will solve 6 word problems which will lead them to clues about how to color the elf outline. At the end, students will have cute elves all colored. 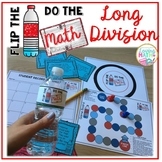 Your students will love this activity! 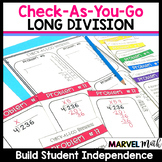 Your students will build confidence and independence with Long Division with these task cards! 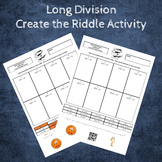 This resource allows you to have peace of mind that students are practicing long division correctly while also supporting students while they are working towards mastery. There are 20 word problem cards. Students will have a blast with Monster Math! Students must use long division to solve each word problem. Included are six problems and a printable answer sheet, which can easily be used as graded classroom practice or center work. 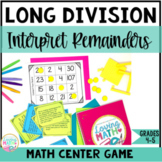 Use this to help teach your students the difference between writing division answers as a decimal or a remainder. This practice sheet includes word problems with real-life situations. These are simple long division word problems. They are ideal for introducing division or for ELL or ESE students. This is an interactive flipchart with long division word problems. There is plenty of room to show work and a magic revealer to erase the answer for checking your work. This worksheet includes four long division word problems, each with a grid below the problem to guide students in their work. The file is downloadable as a word document, so you can change the names of the teacher/school to personalize it to your classroom!